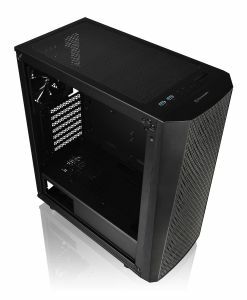 Thermaltake does it even better: the View 37 Midi Tower is once again something very special from Thermaltake. 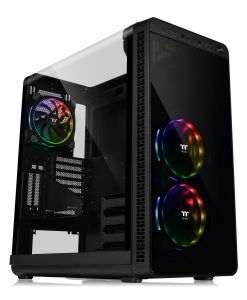 As with the View 28, the left side panel and the lid are made entirely from one piece of transparent acrylic glass, allowing a sweeping view of the interior of the noble case, in which great hardware and, above all, complex and colorful water cooling can be displayed perfectly. 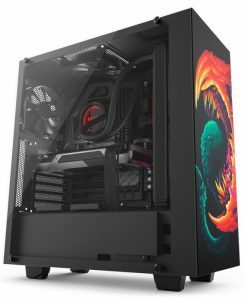 Because the big hit is the ability to install huge radiators with RGB fans next to the motherboard tray , through which the View 37 only becomes a real eye-catcher. 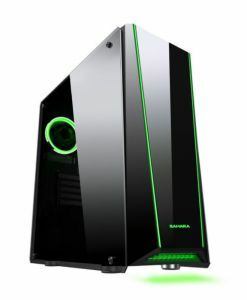 Another highlight is the two vertical PCI slot covers on the back of the tower, where a graphics card can be mounted upright, thus displaying the impressive cooler design of a pixel accelerator. 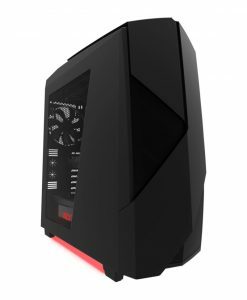 The View 37 is the perfect showcase case! 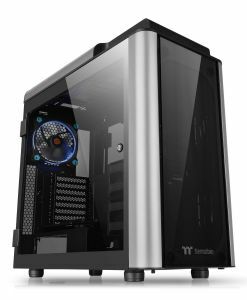 In addition to the impressive design, Thermaltake has also put a lot of emphasis on functionality in the View 37 . 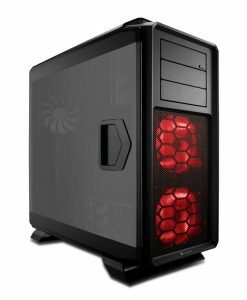 In the front, a 360-mm radiator can be installed, if you want to do without the two preinstalled Thermaltake Riing 140-mm fan, which are supplemented by a third party at the back. There is even a 420 mm radiator on the right side in front of the motherboard . For the drive cage must be soft, but there are still enough slots for drives. Instead of the cage and the mainboard tray pumps and reservoirs / AGBs can be accommodated. The huge side panel allows the custom water cooling system to be admired from the side and top – perfectly staged by the stylish RGB lighting the riing fan. If you prefer air cooling, you can install two 200 mm fans instead of the two pre-installed 140 mm Riing RGB fans – or three smaller 120 mm fans. Right next to the motherboard tray again have three 140- or 120-mm fan space. 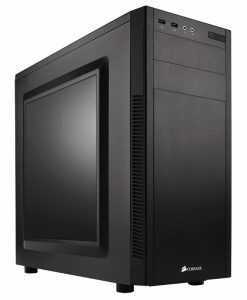 Midi-Tower or Showcase? 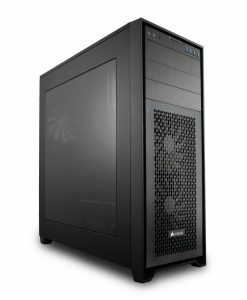 The Thermaltake View 37 is both! For the installation of the graphics card, Thermaltake has also come up with something special for his showcase case. 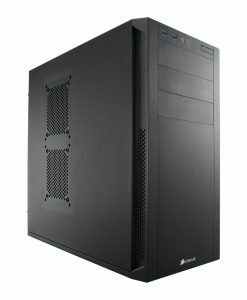 In addition to eight horizontal PCI slot covers, the case has two vertical PCI panels . 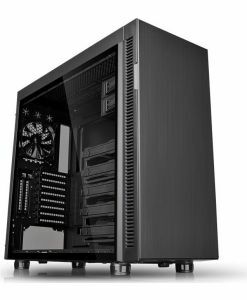 Up to a maximum of 41 cm long graphics cards can either be installed as usual with the GPU cooler down, or vertically, pointing with the graphics card cooler to the window. This allows an impressive – maybe even RGB-lit – high-end gaming graphics card to be displayed. A corresponding holder is already attached to the housing, but can be removed later. The Midi Tower has dust filters on the side and under the power adapter, which is installed in front of a hard drive cage for three 2.5- or 3.5-inch data storage devices, and may be up to 220 mm long. 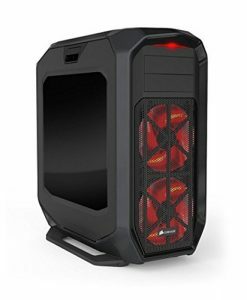 Here Thermaltake has also installed four large rubber feet that dampen the vibration of the power supply. Up to eight additional 2.5-inch SSDs or four 3.5-inch HDDs can be attached behind the motherboard tray without tools. The front consists for the most part of dark-tinted acrylic glass. In addition, the I / O panel is installed, which in addition to the obligatory audio connections and power / reset buttons has two USB 2.0 and two USB 3.0 ports. For controlling fan speed and RGB lightingThermaltake has included a controller with integrated switches. Alternatively, the controller may be connected to a controller included in a PCIe slot panel included with the housing. The fan speed can be set directly on the controller in two stages, the RGB lighting can alternatively be controlled and synchronized via a 3-pin RGB header for digitally addressable RGB LEDs via the mainboard. Mainboard connection cables from MSI and ASUS as well as Gigabyte are already included. The controller can also be connected via an enclosed PWM cable with a corresponding slot on the mainboard and interconnect with another controller. The controller itself is powered by a SATA connector and can be attached anywhere on or inside the case using tape. A dust filter at the bottom extends over the entire underside and can be pulled out and cleaned at the back. In addition to the up to 220 mm long optional power supply can be installed there also another up to 140 mm large fan to optimize the airflow at a vertically installed graphics card. Another dust filter covers the entire front. Behind the mesh grid at the front end of the right side part of the third dust filter is attached by magnet. Note: The PCIe riser cable required for vertical mounting of the graphics card is not included and must be ordered separately. 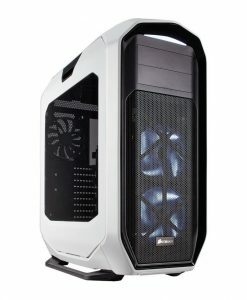 The graphics card should not be higher than two slots when installed vertically.